Award-winning Acoustic Singer-Songwriter whose lyrics are socially conscious and empowering, love songs poignant and deep. Thea is an award-winning songwriter who spent her early childhood barefoot among the Seminole Indians on the banks of the Miami River. Her summers were spent in the Appalachian Mountains of North Carolina where she currently resides. She also lived and worked in the Desert Southwest with Indigenous healers and as a result of these influences, Native American images and the subject of rivers, mountains and canyons weave their way through her songwriting. 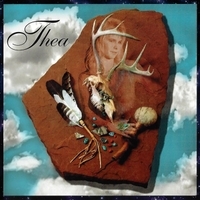 Thea’s lyrics are socially conscious and empowering, her love songs poignant and deep.